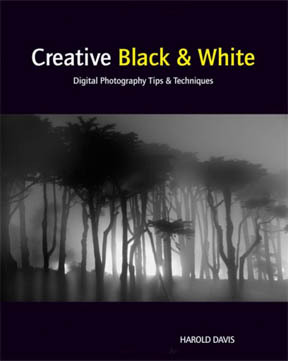 Reading about a black and white photography tip in our amazingly vibrant world of color may seem a bit unusual for your. After all, why they heck would you want to eliminate all those beautiful colors from your favorite subject? This article tells you the most important thing to do when considering black and white photography. There is something special, classic and elegant, often more emotional, sometimes even romantic about black and white images that's been lost. You can also get a special historical feeling when you view this kind of photograph. So what's the best tip for black and white photography? There's always been an ongoing argument. 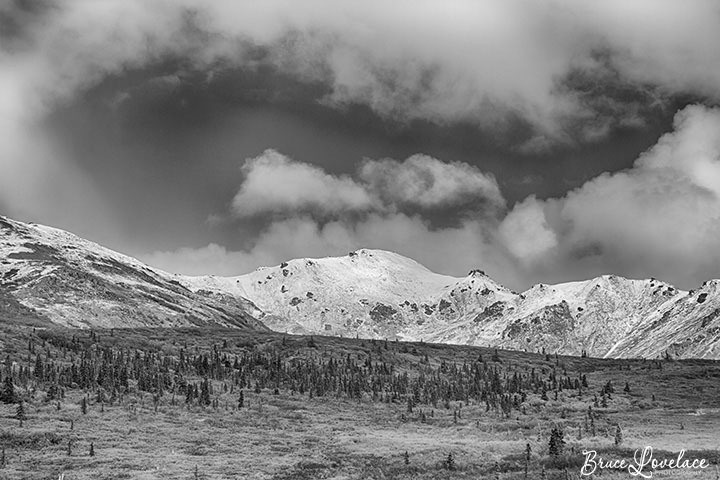 Should you shoot your photos in color first and convert them to Black + White later? On the surface, the easy answer is yes. When first learning photography, the simplicity of black and white forced me to focus on the lighting and compositional aspects of photography first. 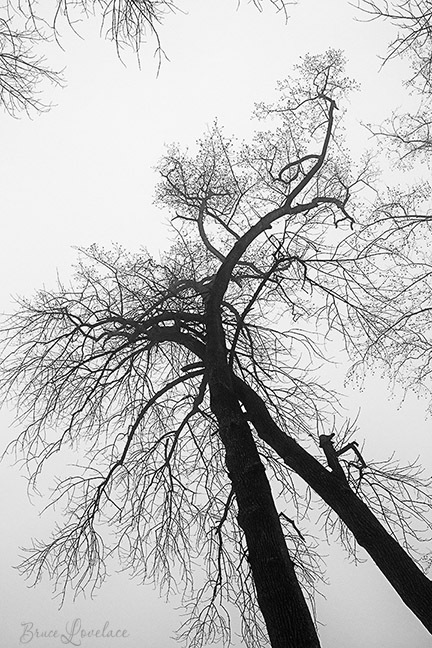 With digital photography you can easily turn a drab color shot into an amazing black and white. The question is, should you shoot everything in black and white and force yourself to more closely examine composition and form. The color photo of the skyline is interesting, but the image that has been converted to black and white is more dramatic. If you shoot the original in color you have the options of enjoying it both in color and in black and white. If you shoot your original images in color you can always convert to black and white later and keep your the color version in tact. It's only a quick one-button click in your photo editing software to do a conversion, although you can get much better results by experimenting rather than doing the quick one-click method. It's the easy way to get both. If you set your digital camera setting to black and white or sepia mode, the beautiful colors in the shot are lost forever. This portrait shows why black and white photography will always have an appeal on some level. This gentleman's character lines in his face are revealed so well in this pose. On the other hand you may want to shoot and light with black and white photography in mind as the end result. When you’re shooting in a black and white camera mode, you’re forced into a creative situation when you depress the shutter. You have to look at textures, lines and shapes, shadows and contrasts. It makes you work harder, pre-visualize and analyze the elements of your photograph. Often if you have to work harder on one aspect of your photography, the qualities of your photo are better. Because a black and white photo relies so much on shadows to define shapes and details, your approach to lighting is even more important than ever. 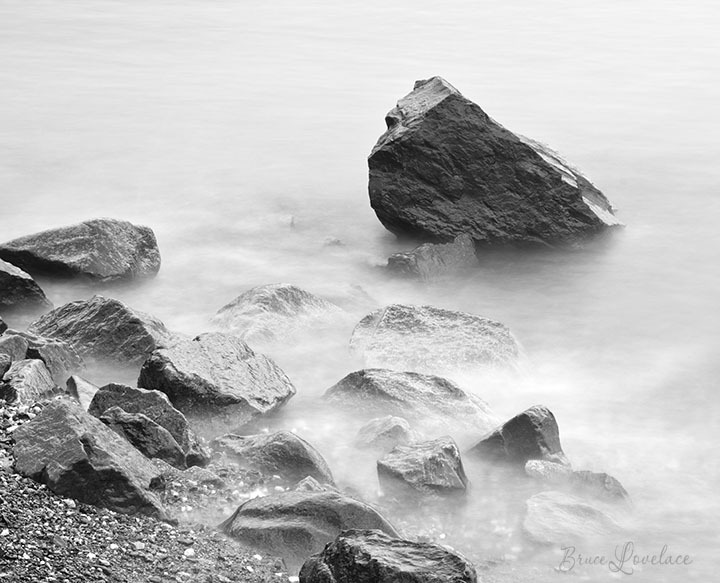 "Creamy Waves on Rocks" Conowingo Dam, Maryland. Black and White. When you are taking a portrait of someone, dressing your subject in black clothing creates an interesting opportunity. In this color portrait of this cowboy, because of the black clothing, only his face seems to be in color. It's important to keep the background black, white or a shade of gray. This is an excellent portrait also because of the pose, the photography lighting and the subject's relaxed expression. In this second version of the cowboy portrait, I reduced the saturation. One effect that may not be desirable when reducing the saturation is when your subject has colorful eyes. When photographing people, the element of age can be emphasized. A close-up portrait of an aged face shows all the wisdom lines and features developed from their years. This can have a much greater impact in black and white.Also, on the flip side of that, the smoothness of a young person's skin is revealed when there is no color and the smooth texture is emphasized. why shoot black and white photography at all? Black and White Photography adds a historical quality to the photo. 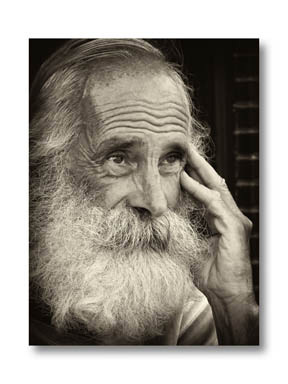 It is my favorite kind of photography to use with a black and white portrait project of old people. It can create more of an emotional reaction. It make a picture into a piece of artwork. Look at these interesting Shadow Photos. Eliminates color distractions and imperfections. Accentuate patterns, textures and lighting. If you think someone else might enjoy this article on a black and white photography tip, please share it. 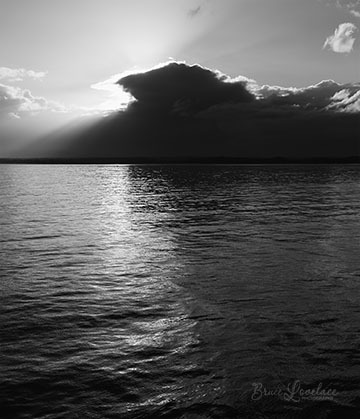 Sunsets are rarely a good subject for black and white because of the great colors you normally get. I originally shot this in color and didn't revisit this photo until I decided to write this pose. When I converted it to black and white I was surprised out the fascinating tones I got in the water. Always look for opportunities for black and white even when you're shooting something else. I took this photo while on a trip photographing American Bald eagles in Maryland.